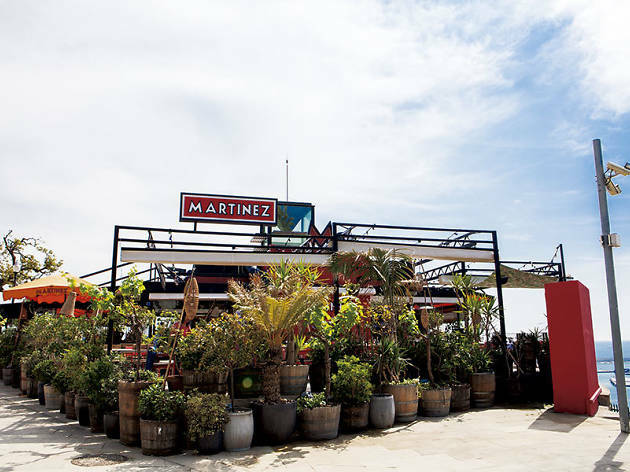 Rice dishes are always associated with seaside terraces, but at Martínez, paella takes to the air – high up on the slopes of Montjuïc, it has a 300m2 terrace, sheltered by parasols, with views over the port and the city below. By day it’s pretty, by night it’s dazzling. 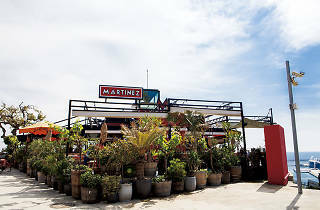 Martínez serves a stratospheric take on paella, classic tapas and deep-fried seafood. And this season there’s also grilled meat and fish. The à la carte menu is as complete and as panoramic as the view – an indulgence, with prices to match. However, the €40 set menu (vermouth with tapas, salad, wines, one of the rice dishes on the menu, plus dessert) allows you to keep a cap on spending, but not your appetite.